Nearly 60 percent of monitored areas of China had "very poor" or "relatively poor" underground water quality last year, a new report showed on Tuesday. 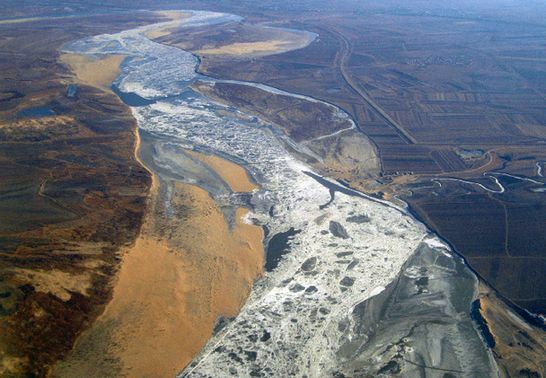 Nearly 60 percent of monitored areas of China had "very poor" or "relatively poor" underground water quality last year. Among 4,778 spots in 203 cities monitored by the Ministry of Land and Resources, underground water quality was ranked "relatively poor" in 43.9 percent of them and "very poor" in another 15.7 percent last year, said the annual report unveiled by the ministry. According to China's underground water standards, water of relatively poor quality can only be used for drinking after proper treatment. Water of very poor quality cannot be used as source of drinking water. The result means 59.6 percent of underground water could not be directly drunk last year, up from 57.4 percent for 2012. On a year-on-year basis, water quality became worse in 754 monitored spots, but improved in only 647 areas.